It was a particularly interesting year for Hindi cinema as some of the small content driven films did wonders on box office while some superstars failed to make a mark with their gigantic commercial releases. Rajkumar Rao has come out to be one of the most dependable actor/star in Hindi film industry with all of his films this year doing great business and earning remarkable reviews. Raj Rao’s performance in Trapped blew everybody’s brains out because of it’s uniqueness. For most of the film, he was literally the only actor in the frame and carried the entire film on his shoulders. He went into a completely different genre of performance in Bareilly ki Barfi made everybody laugh out loud with his charismatic portrayal of underdog Pritam Vidrohi. Another one of his film Newton in which he played the titular role became India’s official selection for the academy awards this year and earned the best reviews for any film this year. This could also be called as an year of Ayushman Khurana, who went on to perform exceptionally well in Breilly ki Barfi. For a Punjabi to do U.P. accent is exactly as tough as it sounds but Khurana pulled it off with grace. His portrayal of a B-grade novel writer in Meri Pyaari Bindu was appreciated though thhe film mostly saw negative light from audience and critics. 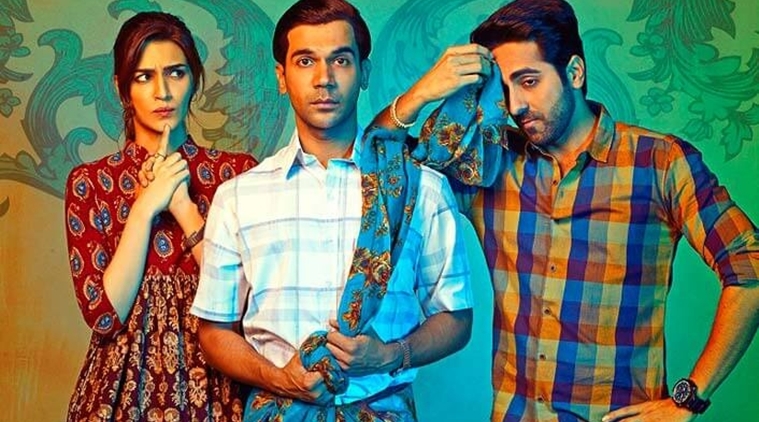 Ayushman earned the best reviews of his life in Shubh Mangal Saavdhan where he played a Delhi boy who has erectile dysfunction because of which his marriage is in jeopardy. The comic portrayal of a problem like this has to blurr the lines between careful and carelessness which Khurana mastred in this film post his practice in Vicky Donor. Bhumi Padnekar shined bright as a strong female of today’s India in her film Toilet-ek prem katha and Shubh Mangal Savdhan. She was earlier seen in Dum Laga ke Haisha and after losing a world full of weight she went on to do brilliant performances in all 3 of her films.